country at Kanpi and lived with her grandparents for much of the time, later moving to Fregon where she lived with her parents. It was there that she was first exposed to art via her mother who worked for many years at Kaltjiti Art Centre in the town. 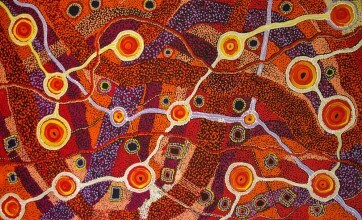 Patricia started painting around 2005 at Tjungu Palya art centre where she was taught by her grandfather, Jimmy. 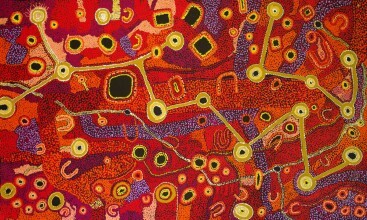 Patricia paints stories associated with her grandfather's dreamings, in particular Kalaya Tjukurpa (Emu Dreaming) and the important woman's creation figure of Marlilu. Patricia is married with a young child and lives in Kanpi in the Pitjantjatjara lands. 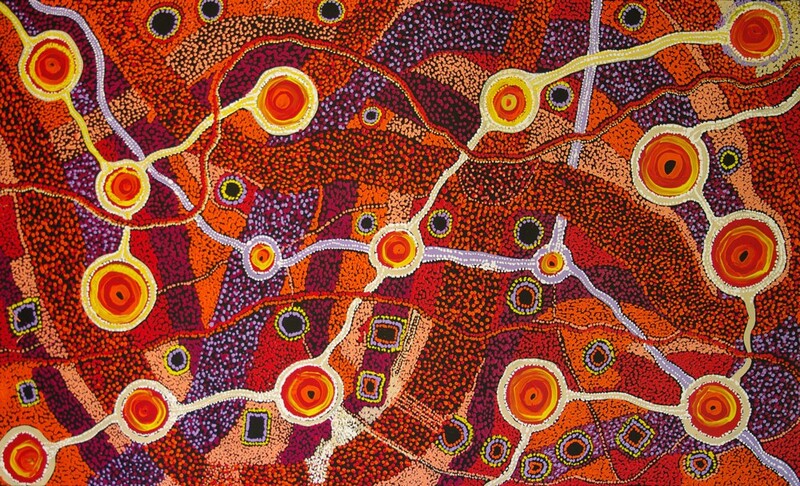 Tjukurrpa (culture and ceremonial law) is at the centre of everyday life for anangu (people) living in the Pitjantjatjara Lands. It explains the creation of life and provides a guideline for living life well. There is a strong relationship between this deeply spiritual existence and the creation of art which has integrity, beauty and resonating power.